Sod is a fast and easy way to get grass when you need it. No waiting on seeds to germinate or dealing with the threat of patchy grass that may have been infiltrated with weeds. Country Green Turf Farms offers the best high-quality sod in Snohomish that is grown in thoroughly prepared soil and comes from seed stock that has been fostered to perfection over three generations. Since 1988 we have expanded our modest sod farm into three locations to better serve our community. Our strong sod begins with time-tested seeds. 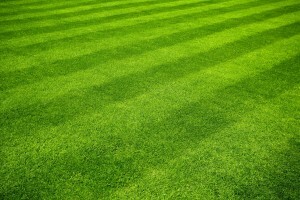 We offer sod from different seed mixtures to produce turfgrass for specific purposes. This includes grass that is shade tolerant as well sod that will bounce back after heavy sports use. Whatever your growing conditions or plans for use, we have the turfgrass to match. Of course, all our seed mixtures do well in the wet, rainy climate we have in the Pacific Northwest. For us, going the extra mile for superior sod includes diligent soil preparation. The soil is fumigated to rid it of weed seeds, rhizomes, stolons, tubers, and other types of pathogens. We carefully monitor the boarders around sod fields to ensure any risk of weed or pathogen exposure is minimized. We never use plastic mesh while growing sod—we don’t need to. Our healthy seeds germinate quickly into a rich, thick turfgrass. We wait until the grass has a good network of roots and is just the right length before offering it to customers for installation. 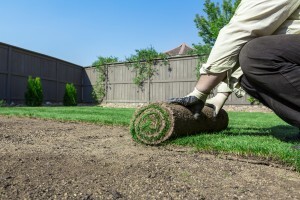 All our sod comes with a fertilizer specifically designed for the type of sod you get. We also offer aftercare instructions and are here to support any questions you may have in taking care of your new grass. Tell our turf farm professionals about the growing condition where you want sod. We will match your needs to the right seed mix for optimal results. We offer installation, including big roll sod with machine installation for large fields or recreational areas. Call now for your sod in Snohomish and get instant, beautiful green grass that is ready to thrive.